Experts agree: 2017 is one the three warmest years on record in the past 200 years. Global ocean heat content is at record levels, sea level rise continues and greenhouse gas concentrations increase, as the World Meteorological Organization’s Statement on the State of the Global Climate in 2017 report makes clear. 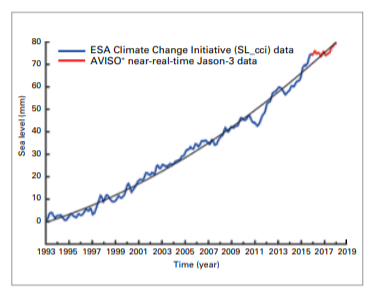 One of the key indicators that climate experts reply upon to understand global climate trends is sea level rise, estimated by CLS and LEGOS within the contexts of ESA’s Climate Change Initiative (CCI) and CNES’ activities (AVISO). Today, thanks to fruitful collaborations with internationally renowned experts, CLS and its partners are able to describe this dramatic rise in sea level of nearly 8.0 centimeters thanks to 25 years of homogenous altimetry data from satellites such as the the European-American satellite Jason-3 . Figure 7 from WMO’s State of the Climate in 2017: Global mean sea-level time series (with seasonal cycle removed), January 1993–January 2018, from satellite altimetry multi-missions. Data from AVISO (Source: Collecte Localisation Satellite (CLS) – Laboratoire d’Etudes en Géophysique et Océanographie Spatiales (LEGOS)). The global altimetry community will celebrate the quality of and improvements to this long time-series of data at the “25 years in radar altimetry” conference organized by the European Space Agency (ESA) and the French Space Agency (CNES) in Ponta Delgada, Azores, from September 24th-29th. 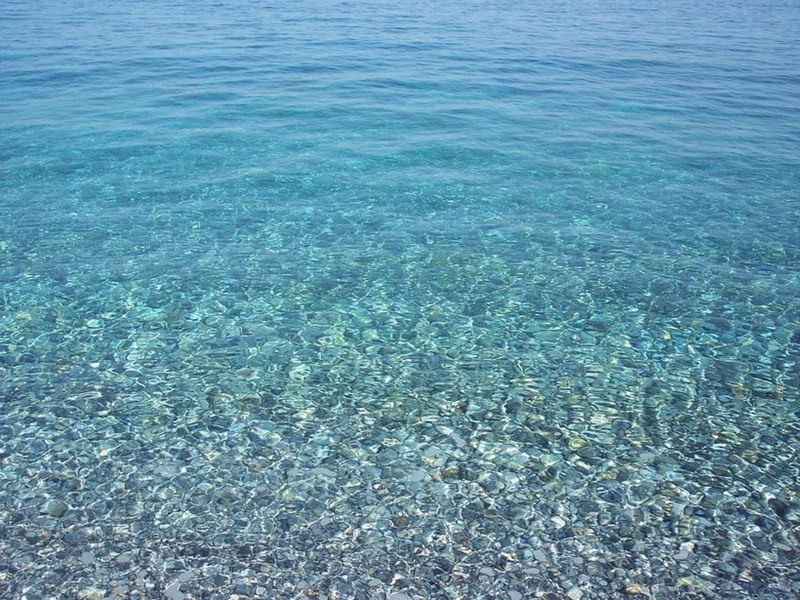 CLS experts, along with other international scientists, will present 25 years of work to calibrate, validate, process, reprocess, and use these data for hydrology, physical oceanography and climate science.